The color combination for this month is perfect for summer. It is packed with an array of bright colors to work with those summer photos, but it is versatile enough to use on other photos. If you are interested in picking up one of these kits, please click here. Soon, I will be teaching classes specifically for these kits at Memories Live On, and I can’t wait! Isn’t it adorable?! My friend designed the papers to this collection, and I absolutely love it. 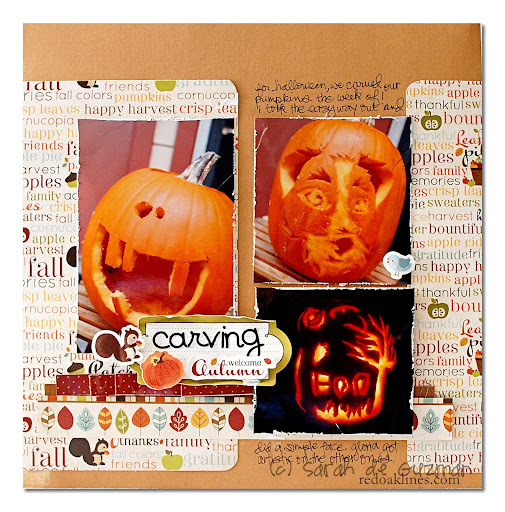 To see more of Apple Cider, feel free to check out the inspiration from the rest of the DT at the blog. Also, Imaginisce is doing giveaways all week for this new release over there. Don’t miss out! 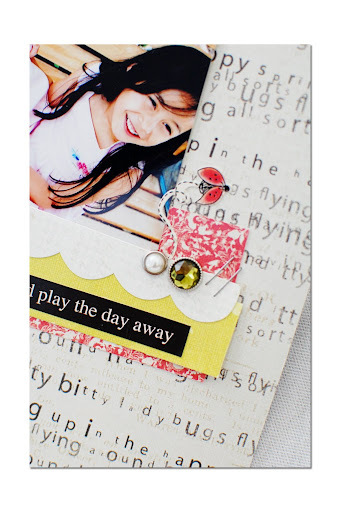 …and the winner to the Birthday Bash paper pack is Ruth Tacoma! That is it for now with the layouts. Hopefully, I have inspired you to get up and create something! In the meantime, I will work on uploading the THOUSANDS of pictures from this weekend. I can’t wait to share all of the craziness. ¡Bhuaaaaa! no gané,otra vez será! Espectaculares tus páginas Sarah, qué colores, que buenos detalles, me encantan también las fotos. nice layouts. it’s too early right now. my shoulders are still killing me. OH WOW… you have out done yourself.. and here I thought you went on vacation.. they are awesome.. thanks for sharing your work with us.. you are such an inspiration… YEAH!! ps I will only post once…LOL!! hehe, you’re so silly! 🙂 …but i love your double posts! Just fantastic and amazing! i just love these! you did a great job with your kits and placement – you so rock! Only thing missin – your pups!!! I love your furbaby layouts!!!!! i know, right?! even i miss looking at my furbabies in my layouts! hehe. Holy smokes, you’ve been busy! Great layouts as always. I especially love the one with the AC (I believe) ribbon across the bottom. Gorgeous! Just brilliant layouts!!!!! Totally worth the wait – I always feel so cheerful after seeing your layouts and reading your blog – so full of creative energy! Have a super week! These are all awesome Sarah!! 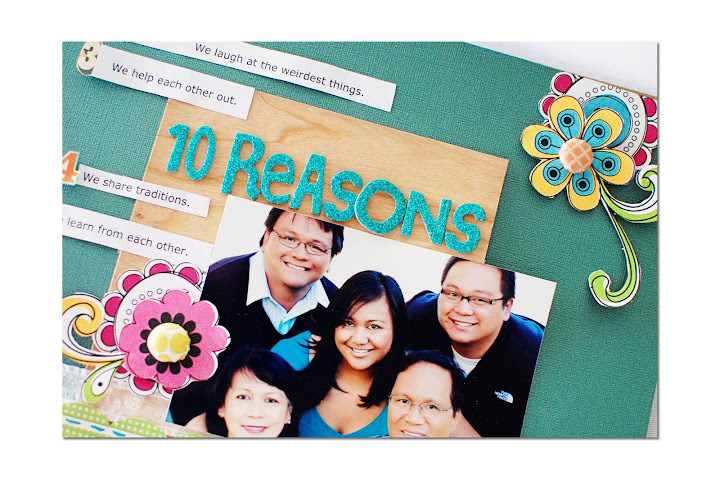 I just love the way you put your papers/colors together and always come out with pages that look fabulous. 😉 Thanks for sharing!! Sarah, you have been one busy girl. I love what you did with the MPTH, its awesome as usual. Love all your other pages too!! Layouts Galore is right! Thanks for all the inspiration! That is a lot of layouts! It looks like you’ve been busy. They’re beautiful and I love them all! love, love, love all your beautiful layouts. Can you come by and help me find my mojo? or maybe just some time? hee hee…hugs….from Ainsley and I.
OMGoodness, these pages are all gorgeous, Sarah – as always – I wish I could do so many wonderful stuff so quickly as you do! 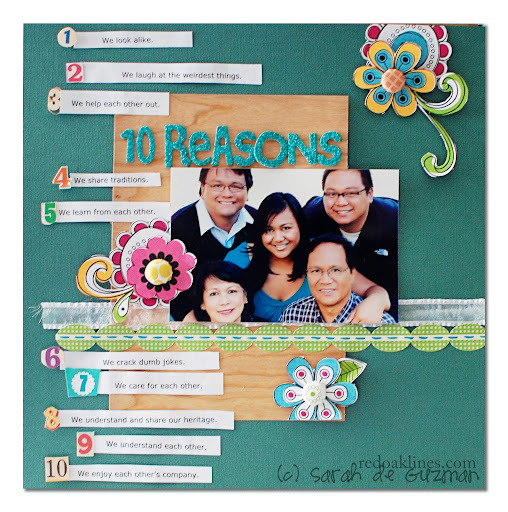 The “ten reasons” one is my favorite from all these, love the colors and the beautiful family photo! Great layouts! Love them all! Thanks! Do you ever sleep? You just always do so much!! 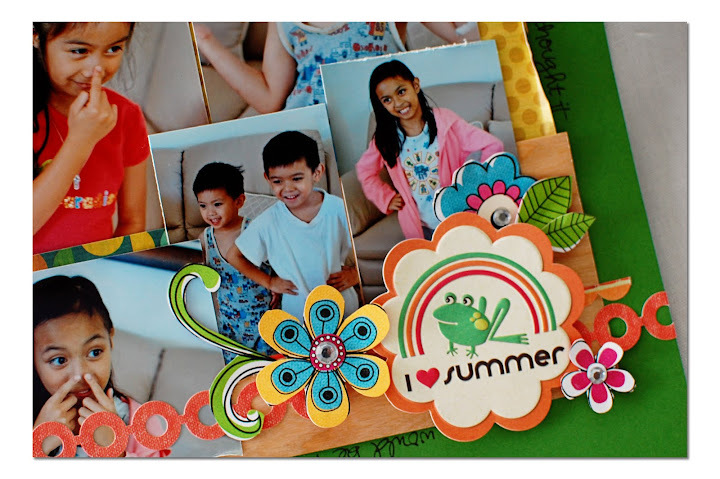 I love those layouts…all beautiful, and I LOVE LOVE LOVE The frog tag on your imaginisce one!!! I want that…. wow, they’re all beautiful, I don’t know how you decide which products to use but you always pick the perfect ones. Look at you go! These pages are wonderful! Makes me want to subscribe to a kit club, but I have commitment issues. Ha! these lo’s are FAB girl just FAB!!! ….. make sure to upload your CI lo’s to the CI site… they will love them… they are just lovely!! !